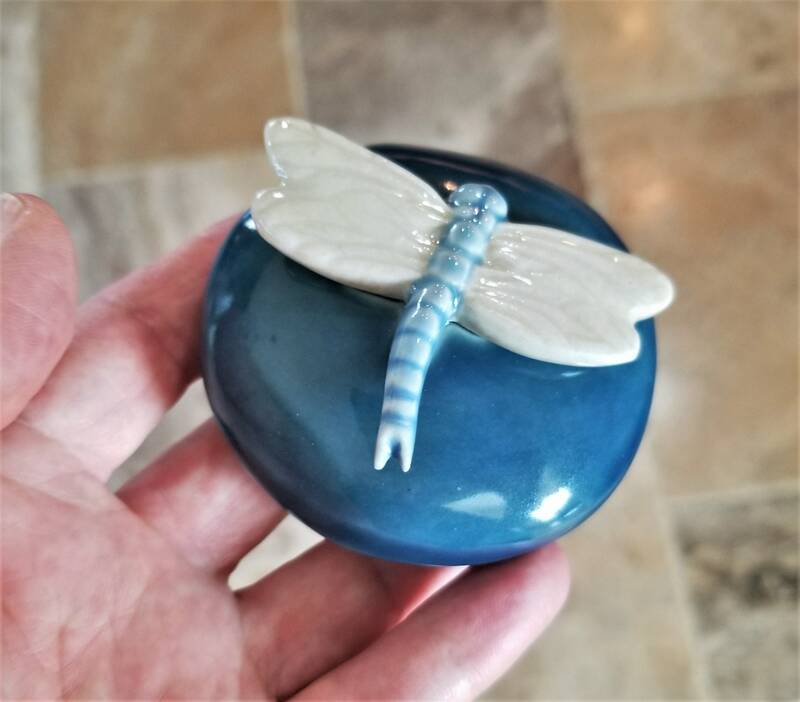 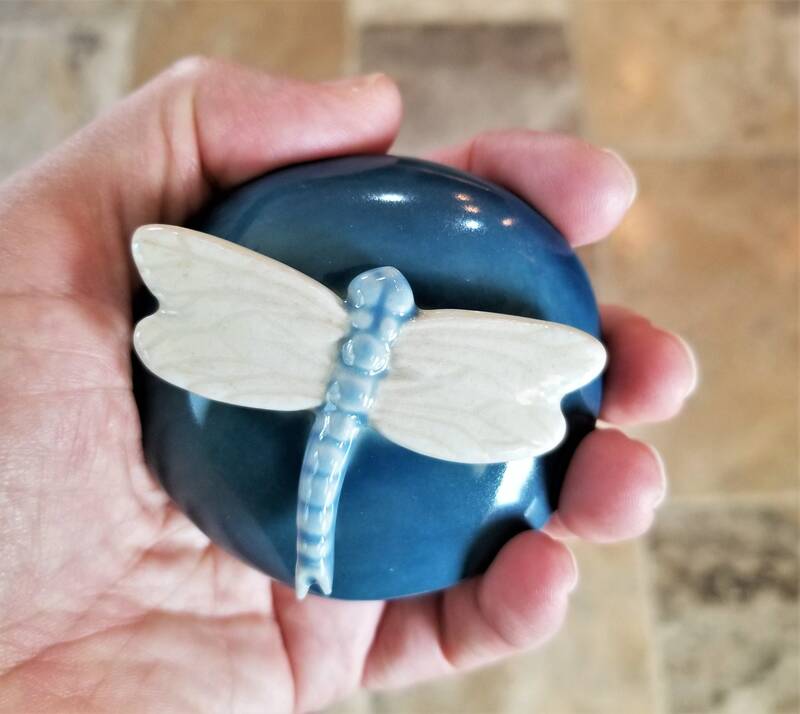 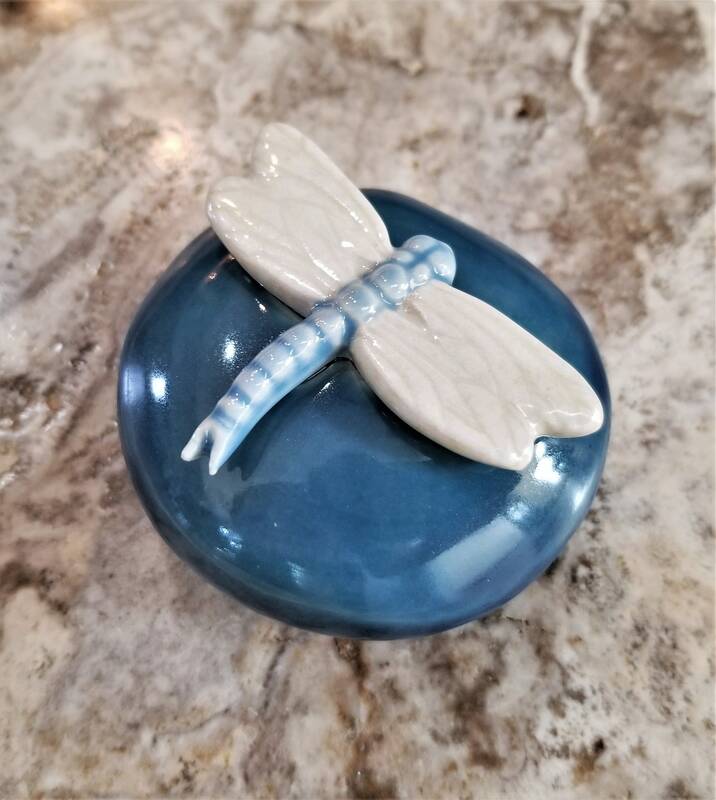 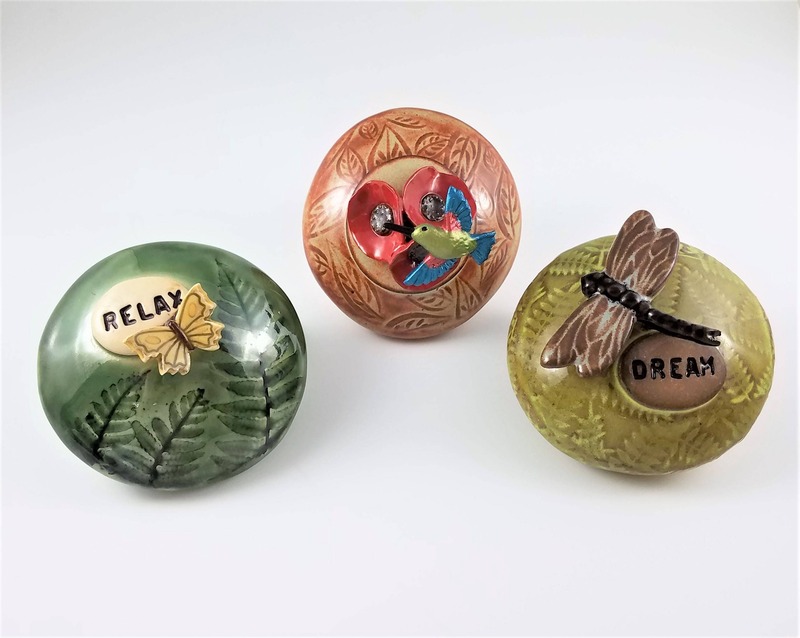 Meditate, relax and unwind with this handcrafted Dragonfly Spirit Rattle. 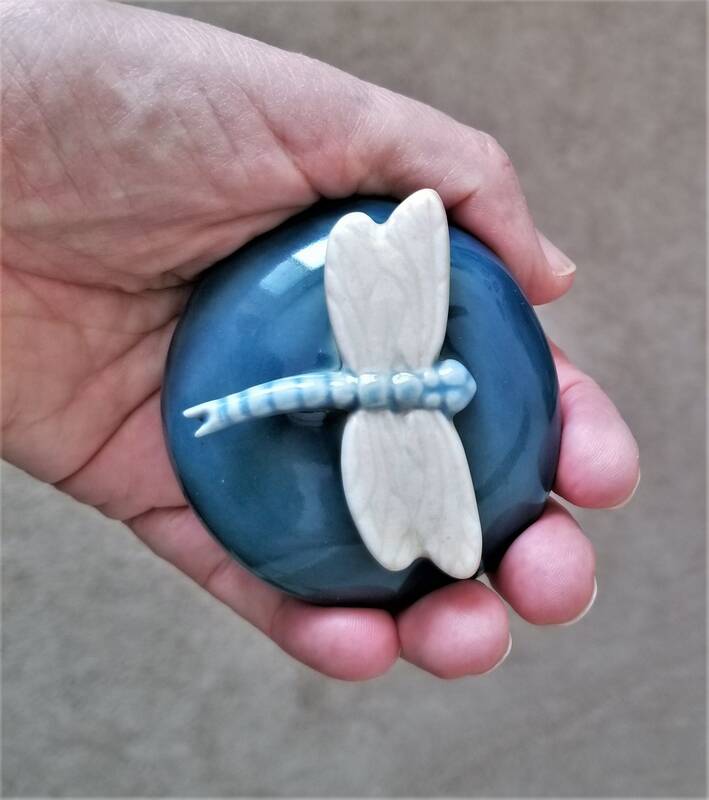 Glazed in deep sea blue, this rattle resembles a smooth stone and fits so nicely in the palm of your hand. 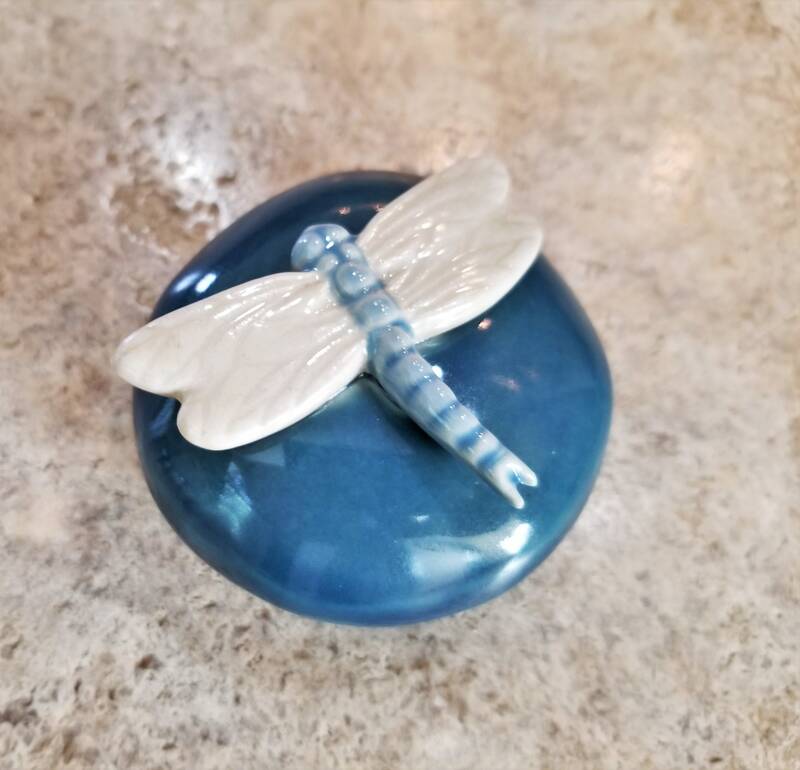 The dragonfly symbolizes Prosperity, Strength, Peace and Harmony. 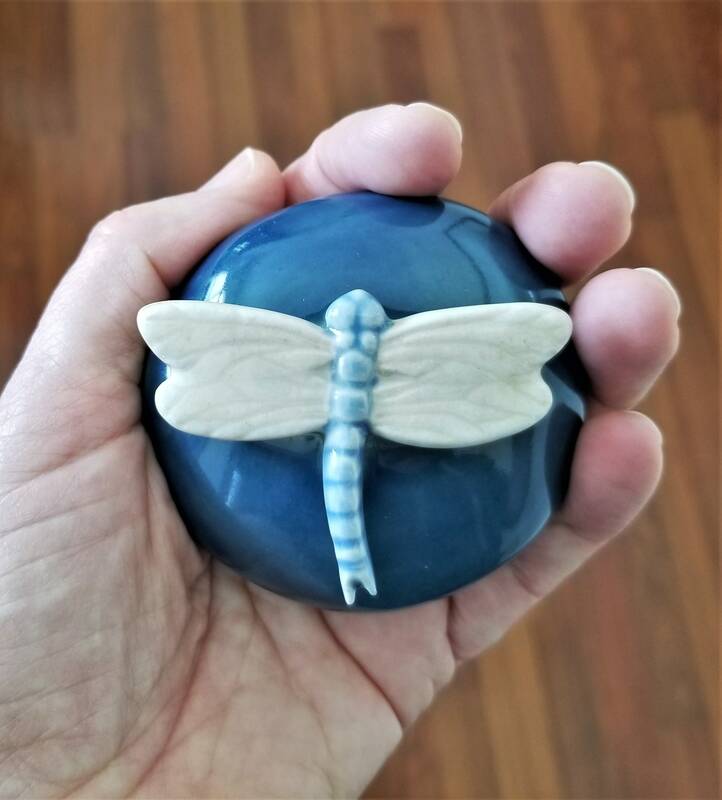 This rattle will look nice on your meditation altar, or keep it on your desk so when you're stressed you can shake all your worries away! 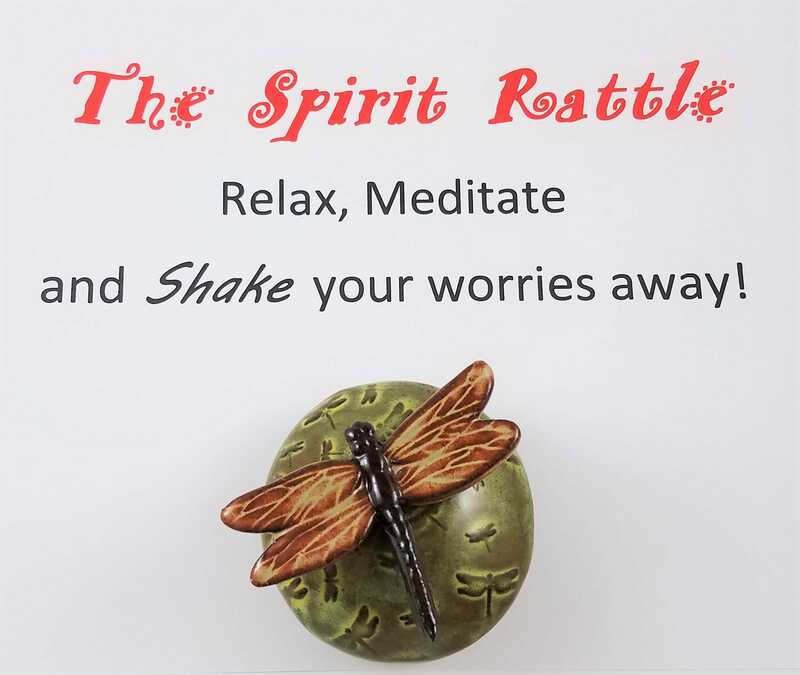 Take your Spirit Rattle with you to use during any stressful situation (sitting in traffic, standing in long lines, during chemo or medical treatments, anywhere you experience stress).